The National Policy on Marine Fisheries is tentative and fails to address the real problems of traditional fishing communities. Though India cannot call itself a nation of fish-eaters, it does have some of the world’s richest fishery resources and an Exclusive Economic Zone in the ocean the size of 60% of its land area. 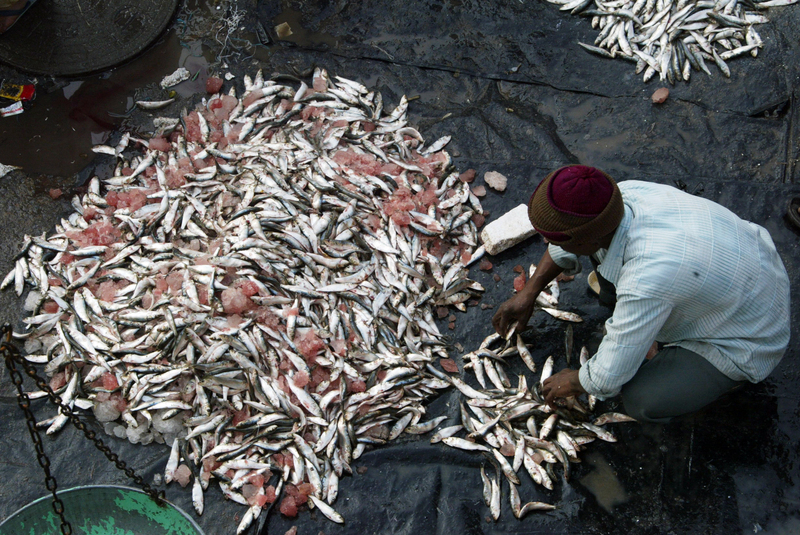 It ranks third in world fish production with a harvest of 6.3 million tonnes. This is largely because of the skills and labour of our small-scale fishermen, not as a result of support from the government. 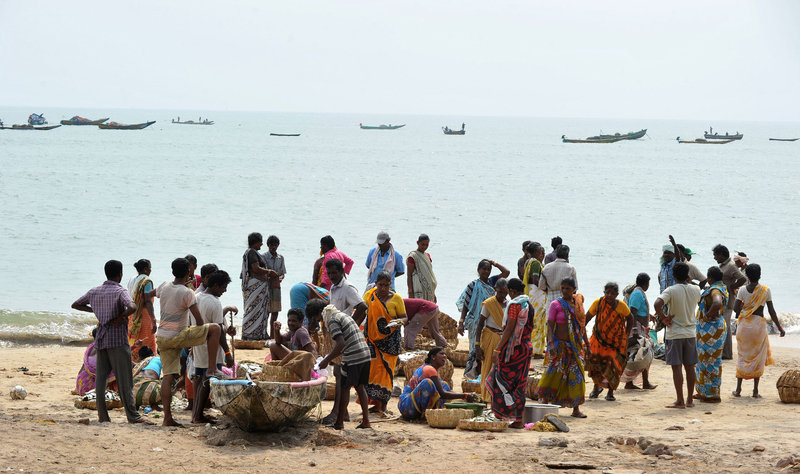 Yet, India has been unable to build a vibrant fishery sector because of misplaced priorities of economic development that ignore the backbone of this sector – the small-scale coastal fishermen. 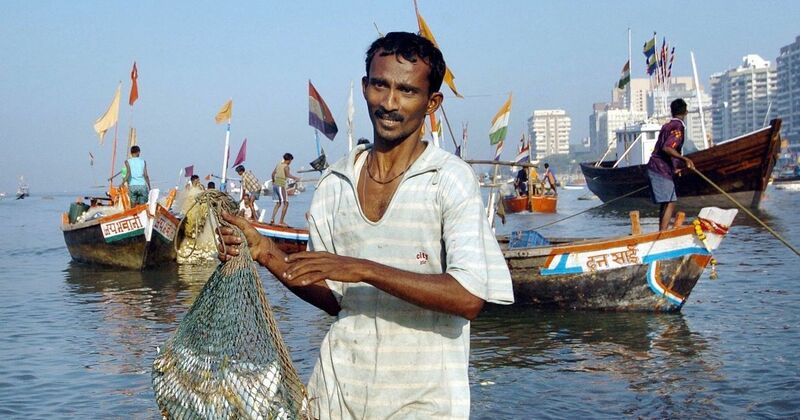 The new National Policy on Marine Fisheries gazetted on May 1 is no different. It seems to have been influenced by an “invisible hand” with a preference for tentativeness and a bias towards private participation. The concerns of small fishing communities, included in an earlier draft, have been subtly changed. If it intends “to guide the coordination and management of marine fisheries in the country during the next 10 years”, as its mission statement reads, it would need a clearer statement on addressing existing realities and a more discursive analysis of a strategy for action into the future where, quoting from the policy preamble, “fishers will be at the core of this Policy [and] actions will also be guided by the public trust doctrine”. The profile of the sector, spelt out in the document, gives an exaggerated picture of its evolution from a “purely traditional activity… now transformed to a commercial enterprise”. However, the estimated one million marine (coastal) fishermen still pursue their occupation predominantly as marginalised socio-economic outliers. They labour at sea because this is their only livelihood. 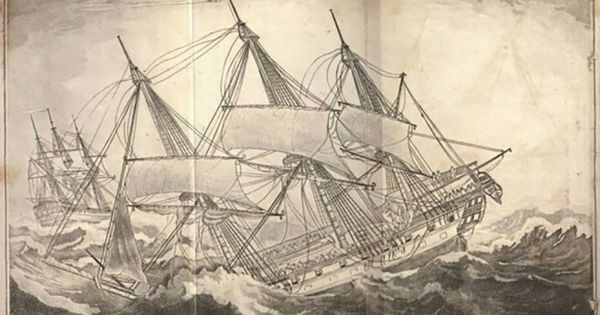 The transition from artisanal vessels to mechanised boats has not brought better earnings and working conditions, greater control over their produce, reduced dependence on the merchant class or lower levels of indebtedness – all of which the policy admits to. The policy is also silent on the stiff competition they face over space, both at sea and on land for a place to live in. On land, they are pushed out by development projects – power plants, tourism, upmarket housing – that are given priority. At sea, the threat is from the forces of nature and improperly designed coastal infrastructure. The policy makes no mention of the Coastal Zone Regulation Notification – which although a weak legal instrument is still the only legal protection to the natural coast that prevents its wholesale takeover for non-fisheries activities. This competitive use of the coast signals one of the greatest threats to the future of marine fisheries. The policy is most confused when dealing with its greatest concern: fisheries management. Wishful platitudes and textbook concepts are strung together with statements that have been acknowledged over a century ago, such as “marine fish resources are not inexhaustible, and uncontrolled harvests will lead to depletion of resources”. The policy misses the basic problem that besets marine fisheries management and the reason for uncontrolled harvests. Our Territorial Sea (sea up to 12 nautical miles from the coast) and Exclusive Economic Zone have deteriorated into an open access space – a virtual free for all where the principle of first-come, first-take operates. Good fisheries management should bring back authorised access rights. Those who actively fish, particularly from traditional fishing communities, should get first priority. Many of them have the technology, knowledge, skill and daring to fish even at the farthest end of the zone. Restricting them to the Territorial Sea is meaningless. The policy also assumes fisheries management measures are all to be taken at sea. But some measures must be land-based. For example, monitoring, control and surveillance of minimum legal size of fish must be tackled at the wholesale markets, processing units and fish-meal plants. Once there is no demand for the product, its fishing will naturally stop. Governments always speak of moving fishing into the deep sea, despite a plethora of failed schemes. The principle reason for failure is the limited quantity and lower market value of fish species in our deep sea. A 2012 review estimated 1,158 fishing vessels operated in the deep sea. Over half of them were small mechanised vessels operated by fishermen from one village in Tamil Nadu’s Kanyakumari district. They ventured beyond the Exclusive Economic Zone and, using their prowess, harvested 70% of the 59,055 tonnes of deep-sea fish harvested that year. The introduction of new private players into marine fishery should be restricted to the ocean realms that currently active fishermen are unable to reach. Yet, despite the failed schemes, the policy states that “private investments will be promoted in deep-sea fishing and processing to fully harness the potential of marine fishery for inclusive development. Sustainable utilisation of the deep-sea fisheries resources necessitates an optimum fleet size of modern fishing vessels capable of undertaking extended voyages, and wherever required, support of overseas technology will also be considered for development of the sector”. In no country has the quality of export processing and marketing of fish improved without first tackling hygiene, safety and regulation in domestic trade. The policy mentions the need to integrate Food Safety Standards Authority of India benchmarks to improve domestic marketing. A visit to any fish market or fish landing centre in our country will demonstrate how difficult it is to achieve this. They lack even the basics – water, proper drainage, crushed ice, hygienic transportation boxes and other infrastructure – leading to large post-harvest losses. Without ensuring product quality for the domestic market, export quality improvements will remain cosmetic. Export quantities have increased over time, but the real value of exports and unit value realisation in dollar terms have not. The policy also acknowledges that there is little evidence to show that fishermen who catch the fish that is later exported benefit significantly, all because of the long and exploitative value chain. Radical measures are needed, such as a legislation giving the right of first sale option to the fisherman. Only then will producer cooperatives be economically empowered. The policy gives emphasis to two voluntary international instruments: the Code of Conduct for Responsible Fisheries of 1995 and the Voluntary Guidelines for Sustainable Small-Scale Fisheries of 2014. Recognising the latter is important. It is the only internationally accepted fishery guideline that addresses the realities of small-scale fishermen worldwide, stressing on their rights to the sea and coastal land. The big reality confronting marine fishing communities is a severe lag in social development, despite the sector being among the most liberalised, privatised and globalised sectors of our economy. The 2014 Guidelines frame social development with a human rights-based approach. But the national policy, still in welfare mode, fails to appreciate its distinctiveness in addressing the problem. In the absence of participative policy-making, it is unlikely the hard realities of the marine fisheries sector will be addressed. The policy and its makers are likely to remain at sea for long if they do not squarely address the communities’ real needs. John Kurien is Visiting Professor at Azim Premji University, Bengaluru.